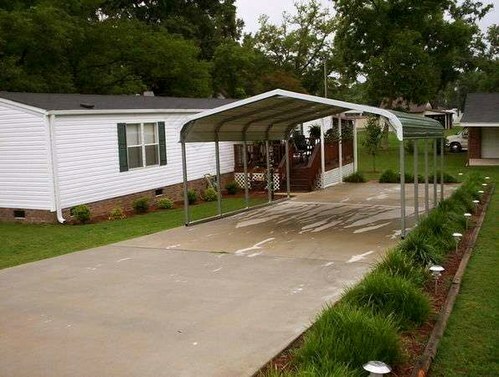 Regular style units have rounded corners and are considered the “basic” of carport designs. Acting as a founding product for all other designs, the regular style unit is typically the most economical and affordable product. This unit is available in widths from 12’ wide up to 30’ wide and side wall heights up to 14’. Length from 21’ and up in 5’ increments. Prices starting out at $1195+tax for 12 x 21 x 6 price includes installation on your level site.